This text regarding cello repertoire is for individual lesson and not for class group lessons. Class group lessons require a different style of teaching and approach. The ability of the teacher to choose suitable cello repertoire throughout a student’s or young professional’s development is crucial. Although this statement may be obvious, it is one which seems to be ignored by some teachers. Choices of cello repertoire by the teacher ought to be made in conjunction with work on aspects such as posture, scales, studies, and sight reading. It is important not to be over ambitious in choice of repertoire in the early stages. It is advisable to choose repertoire which will focus on developing basic playing skills- this will in due course substantially raise the level of progress and enjoyment for both teacher and student. Teachers will have their own preferred repertoire with which they are comfortable, and should work on this repertoire alongside the staple diet of basic technical elements. A comprehensive list of previous cello repertoire played should be kept, and a clear record of ongoing repertoire and technical work should be listed. For the overall musical development of the student, it is important that he or she should be exposed to a variety of styles from different periods of musical history. As the student becomes more advanced he or she should be looking towards making music with other instrumentalists. Cello auditions can be undertaken for local orchestras or Saturday schools. 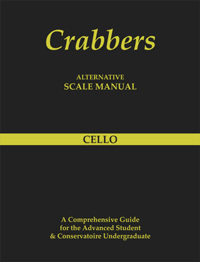 In some instances graded cello repertoire may be requested as this can help to give the adjudicator a reliable guide. Correct repertoire played competently will fare better than repertoire which is too ambitious. This applies to GCSE and A level choices as well. For auditions for the advanced student or professional, the cello concerto repertoire is usually stipulated. Depending on the type of orchestra i.e full orchestra or chamber orchestra, careful selection will be required. Solo Bach, one of the Haydn concertos or a big romantic concerto should be chosen. It is imperative to have this repertoire at one’s fingertips. Preparation is the key factor in order to succeed with cello auditions.